Spice up your nights out with a hot twist on traditional tequila- literally. Tanteo Jalapeño Tequila has changed the norm surrounding tequila production. Tanteo Tequila is infused with locally harvested, hand-sliced jalapeños. Infusing the agave tequila within 24 hours of the jalapeños being harvested, Tanteo Jalapeño Tequila carries a savory heat, creating an extra strong endorphin rush with each (responsible) drink. Try out Tanteo in your cocktails this weekend and let us know what you think! Looking to get in on this Latin-American trend? Call us at Garvey Wholesale Beverage so we can help you jump in on this hot market. 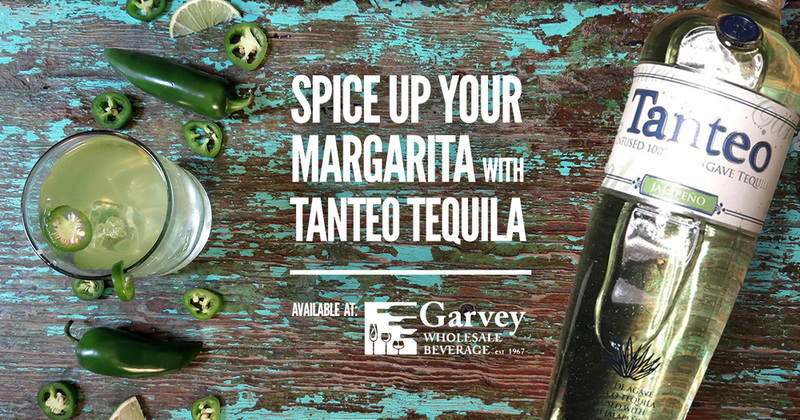 For more information about the story behind this product, go to Tanteo Tequila's site. While you're there, check out Tanteo's blog Beyond Ordinary Tequila as they chronicle the latest recipes, gift ideas, and more Tanteo has to share!